I have always been known as a sharp person, and as I intend to practice medicine until I am quite old, I need to make sure I maintain my keen mind. There are many different challenges that can lead to memory impairment as we age. Circulation to the brain can be decreased by atherosclerosis, leading to lower available oxygen. The energy centers of our cells, mitochondria, can stop functioning at peak efficiency. This leads to a decline in energy levels in the brain, and these dysfunctional mitochondria release larger amounts of free radicals that can damage the brain cells. Free radicals are a contributing factor in many neurodegenerative conditions including Alzheimer’s and other dementias. These potential challenges to proper brain function provide us with clue for where we should look for support, as we grow older and wiser. Vinpocetine is notable for addressing many of these issues. 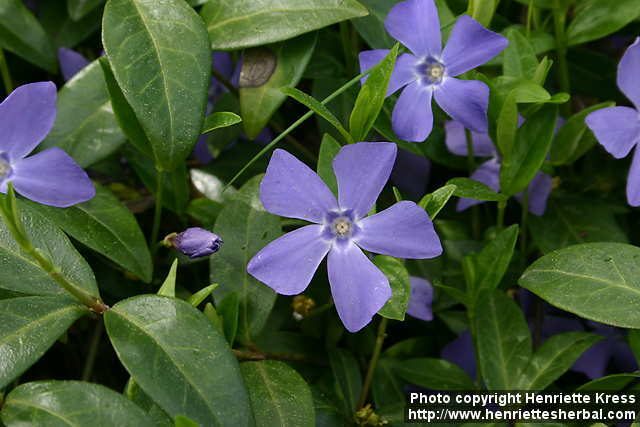 Vinpocetine is derived from an extract of Vinca, better known as periwinkle. It can help increase blood flow to the brain and reduce the levels of damaging free radicals. This is why it is gaining a reputation for protecting brain cells. Vinpocetine may also increase the efficiency of dysfunctional mitochondria in the brain so they can produce more energy. The production of neurotransmitter related to memory may also be enhanced by vinpocetine. Placebo controlled studies on elderly patients with age-related mental decline further supports vinpocetine’s potential. The patients taking vinpocetine outperformed those taking placebo on several different tests of mental function. This entry was posted in Health and tagged brain health, dementia, free radicals, memory, neurodegenerative conditions. Bookmark the permalink.